OUR DESIGN TEAM HAS DEVISED A REVOLUTIONARY NEW WAY TO SUPPORT YOUR ARCH AND HAVE CREATED THE BEST ARCH PROFILE ON ANY PUMP, ANYWHERE! - Supports the foot and creates a wow factor arch profile! 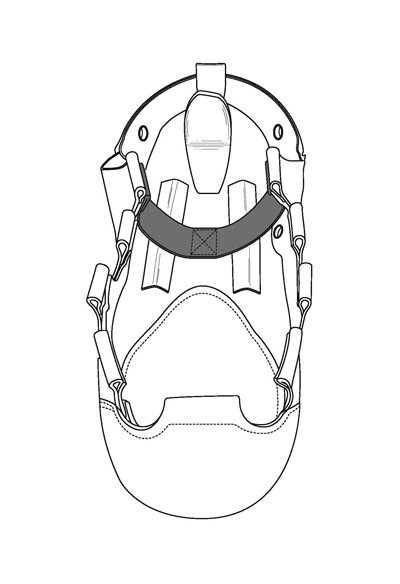 The H4 is fitted with the same Clever Insoles as the H3. Clever Insoles use a combination of materials to protect and cushion your feet and joints - a real improvement over other insoles currently available on the market. The insole is covered in a wick-away Camberelle lining, removing the chance of the Poron cracking or tearing due to age. The pump is made from the same leather as the H3 which is softer than the H1 and H2 leathers. The leather we use in the H3 and H4 allows for a slight stretch for an improved fit and has been finished in a red suede lining for a wonderful touch of elegance.